Ruby Rose will be trading in The Meg’s giant shark for a swarm of bats in Gotham. 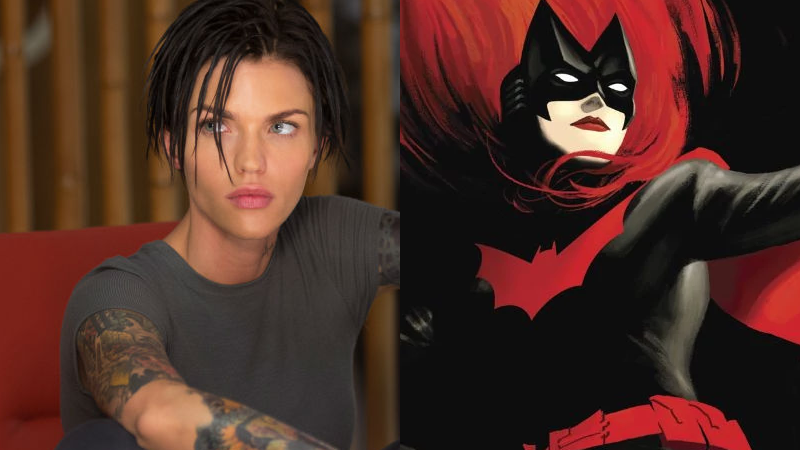 The CW has apparently found its Batwoman: Ruby Rose is heading to Gotham City. Both Variety and Deadline report that Rose, currently appearing in the giant-shark action movie The Meg, has been tapped to portray Kate Kane in both the upcoming Arrow/Flash/Supergirl crossover special and the potential Batwoman series being helmed by Caroline Dries that could air in 2019. Should the Batwoman standalone series go ahead next year, it will see Rose (who is part of the LGBTQ+ community) return to the role, operating on her own in Gotham as “a highly trained street fighter primed to snuff out the failing city’s criminal resurgence,” according to a previously released synopsis. Previous details confirmed that the CW’s Batwoman would be an out lesbian, making a huge step for LGBTQ representation in the CW’s crop of DC TV shows, following in the footsteps of the likes of Arrow and Legends of Tomorrow’s bisexual character Sara Lance, and the Ray, the openly gay superhero who appeared in both a standalone CW animated series and the most recent crossover special, Crisis on Earth-X. The now-traditional crossover is set to air this December. Correction: A previous version of this story stated that Legends of Tomorrow would be included in the upcoming crossover. In fact, Caity Lotz confirmed to press at Comic-Con this year that the stars of the series will not be appearing in the crossover. We regret the error.